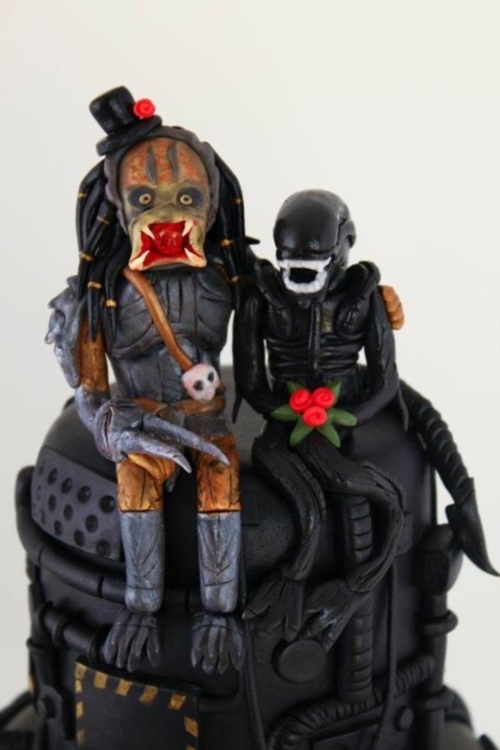 Alien Loves Predator Wedding Cake! 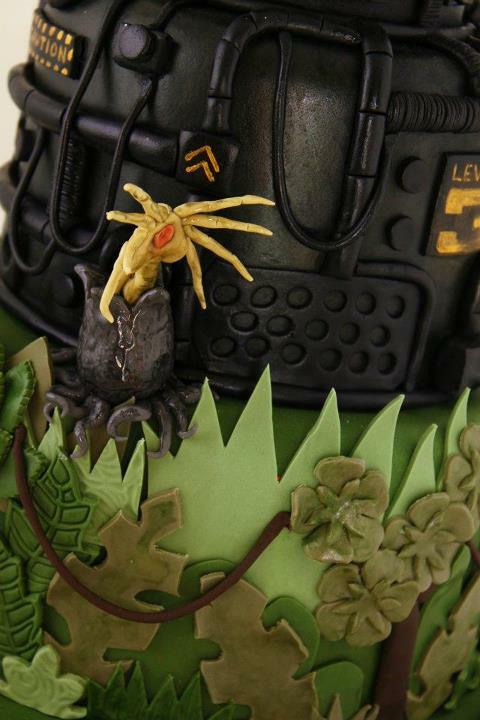 If you like Aliens and Predator then this cake is for you. 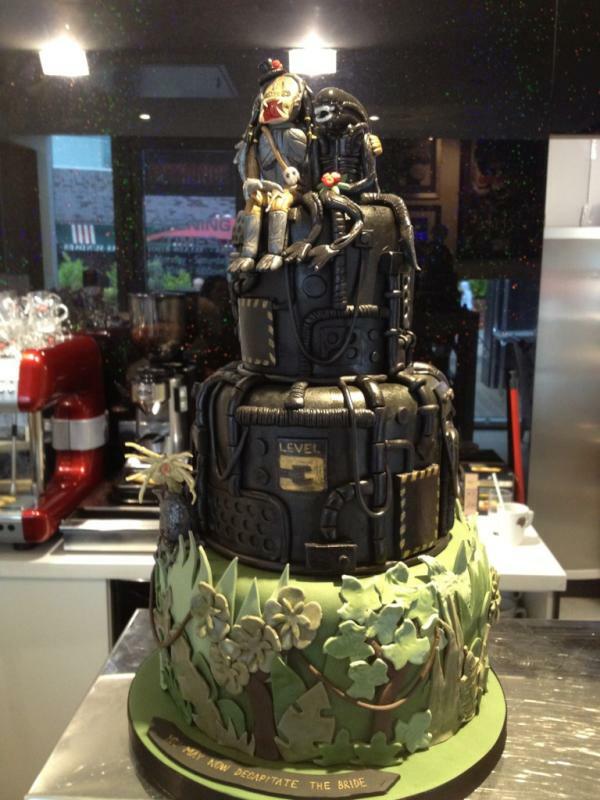 The theme of this cake is marriage of Alien and Predator. “Alien and Predator” wedding cake made by The Little Cherry Cake Company. Located in Rossendale, United Kingdom The Little Cherry Cake Company is all about taking your personality, hobbies and likes and turning them into amazing cakes. 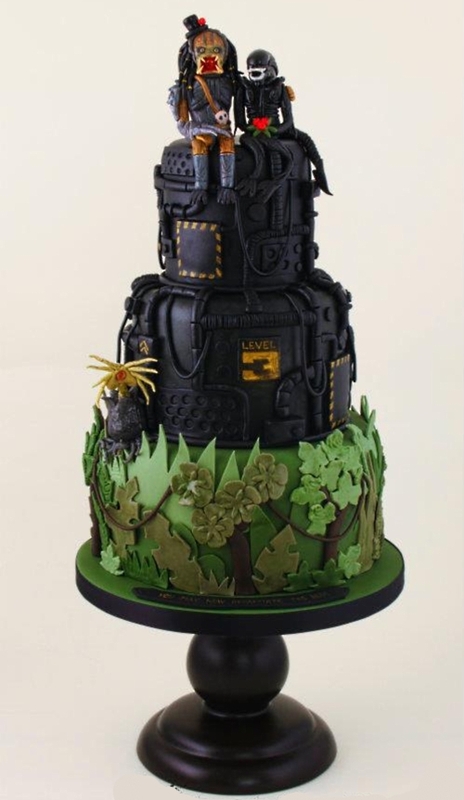 The Little Cherry Cake Company’s owner Tracey made it on her own by adding a Predator jungle tier, after looking at another Alien themed cake online. She also added the two black Alien tiers which look pretty grisly. Well, this Alien and Predator cake has to be one of the creepiest cakes that I have ever come across. If you are not much fan of an alien, We’ve written about other cakes as well as Great White Shark Attack Cake.